From Wikipedia, the free encyclopedia. 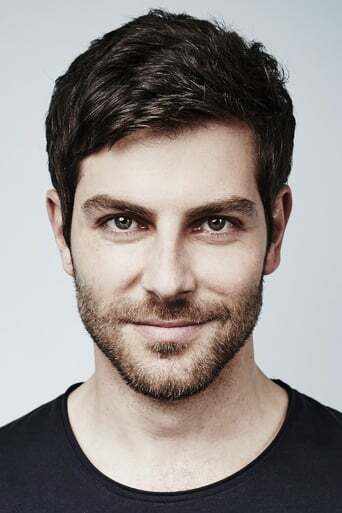 David C. Giuntoli is an American actor. Giuntoli first gained attention as a participant on MTV's Road Rules: South Pacific, and later on Real World/Road Rules Challenge: The Gauntlet. In 2007, he moved to Los Angeles, CA to pursue an acting career. He has since appeared on several TV series including Nip/Tuck, Veronica Mars, Grey's Anatomy, Ghost Whisperer, Privileged, Without a Trace, and Cold Case among others. He is also the host of AT&T U-Verse "Buzz". His music career has not been as successful, but he has performed with German DJ Flula Borg, his occasional co-host on "Buzz," at The Viper Room in Los Angeles. Description above from the Wikipedia article Dave Giuntoli, licensed under CC-BY-SA, full list of contributors on Wikipedia.